but i think the grating very big! anyway! is a pretty wall! it's so cute! I really like the background, with the fence and the buildings. It's good! Keep it up! I love it! im a yuri lover so I really like this scan, people should make more girl-on-girl wallies ^^ nice work denyse.. simple disign but it looks very neat, shiny and beautifull.. keep improving! Itekimasu! Nice wallie denyse ;) I love the background image it's really so joyful! and the characters are really cute! The wire fence is a quite big ;) But the background looks very beautiful! The buildings are very well suited at it! Congrats for such a good work! Nice work and the background look lovely. Suit well with the girls ! Good work ! 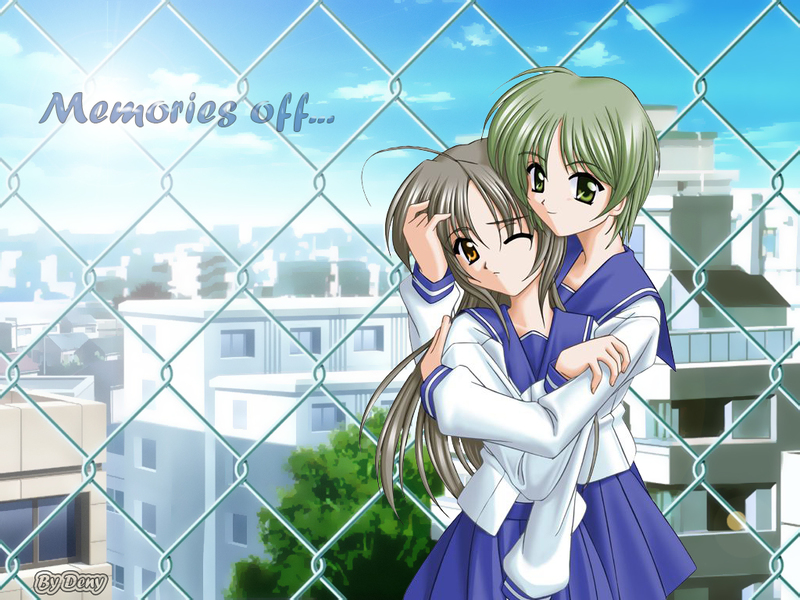 pretty goodie extraction except for the hair part.. there's some extraction problem on the hair.. plain and simple.. but the bg blended bery well with the scan... good job oh..
Good wallpaper, it is nice to see yuri in memories off, the girls like have this situations, thanks. Nice wall. I'm really like the girl and the background.